Need your uniforms cleaned for your workforce? Looking for something that projects the right professional image? Then look to Iris City Cleaners we clean many uniforms for many industries including healthcare uniforms, nurses uniforms, beauty and catering uniforms among others. We Specialize in Cleaning Uniforms of All Types. 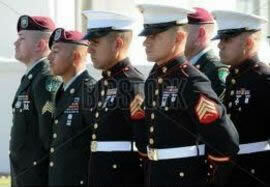 Whether your uniform needs are full dress military, Marine, Navy, or Army we do them all. 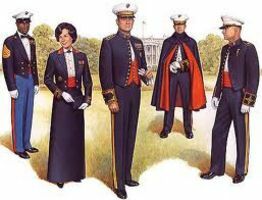 If you need special pressing required in Navy Uniform preparation, we do it well. We clean and press Army fatigues daily. 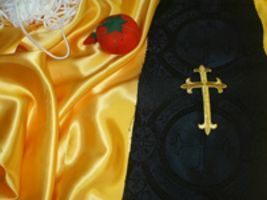 School band uniforms and choir robes are done for 30 schools and churches in our area. and we have been doing them for 40 years. If you have uniform or robe cleaning needs, call us. We also do minor repairs with no additional cost. 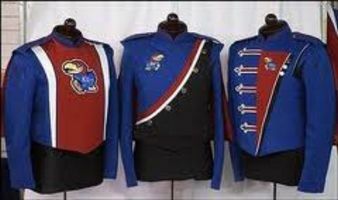 Iris City Cleaners has extensive experience handling the dry cleaning needs of our neighboring school's band uniforms. We are an authority in the cleaning, repair, and preservation of school and church uniform and performance wear. We are recommended by Uniform Manufacturers for our applied technologies and uniform maintenance. 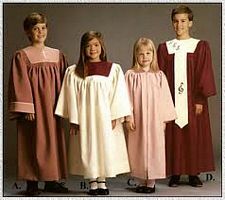 Iris City Cleaners has been cleaning school and church related performance wear since 1947 and continue to provide schools in our area superior service. We are the only Certified Green Cleaner in Iowa and the only eco-friendly dry cleaner in our area. 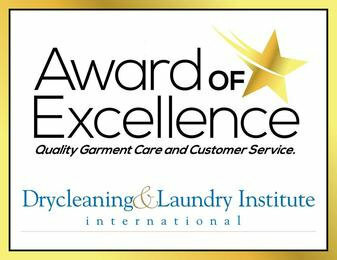 We carry the distinction of being Iowa's only Certified Garment Care Professional, along with a host of other certifications including "The Award of Excellence" for garment care and customer service. 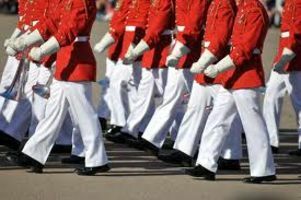 Many of our local schools have specialty dress uniform inventory for their specialty, dance, theatrical, and musical schedules. These specialty uniforms often are highly decorative, delicate, and bright with glitter, sequins and regalia. 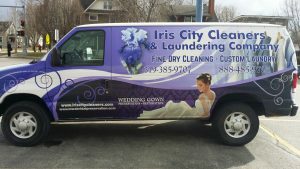 Iris City Cleaners has the technology, training, equipment, and skill to masterfully clean these items without loss of applications, color, and size. You may trust your specialty performance uniforms to Iris City Cleaners. 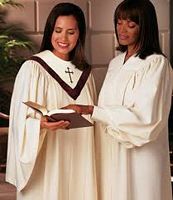 Iris City Cleaners has extensive experience handling the dry cleaning needs of church and school choral robe cleaning. We perform minor repair, replace zippers and offer superior cleaning and finishing. In Southeastern Iowa there are many theatrical groups which maintain their own costume inventories. Many items in our local troupe inventory include vintage gowns, furs, and leathers. These items are processed at our plant in Mt Pleasant with skill and great care. Iris City Cleaners is a proud supporter of theatre in our area and pleased to provide cleaning services to many of our local production groups in South Eastern Iowa. We service many schools, churches, specialty groups In south Eastern Iowa and have for many years. If you have any questions please call toll free at 888-485-9707.